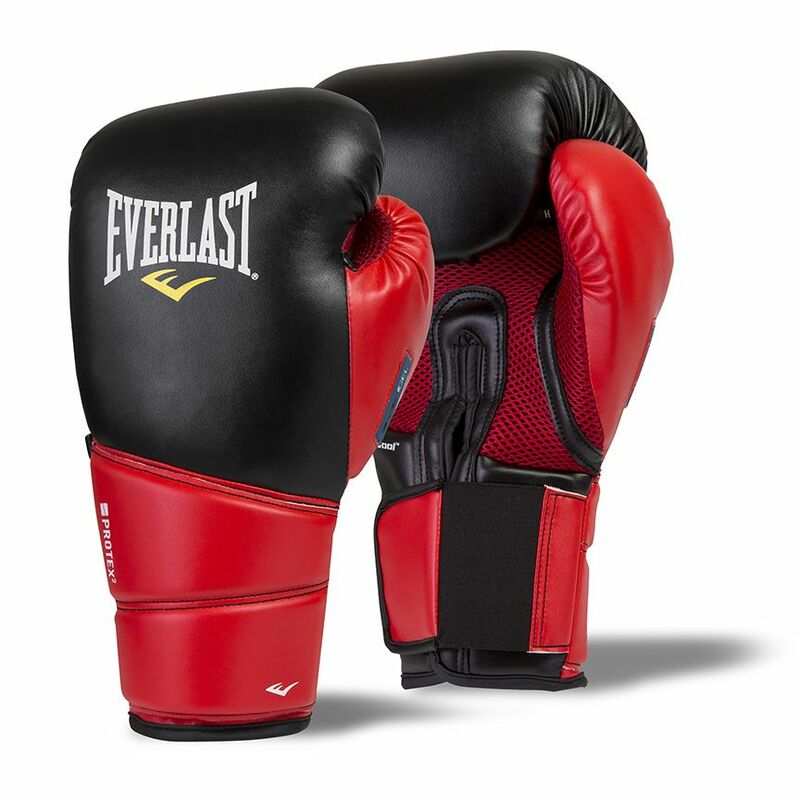 Improve your technique and develop punching skills using the Everlast Protex 2 Evergel training gloves with a durable and tough synthetic leather construction and a mesh palm ensuring proper ventilation. Featuring revolutionary EVERGEL™ technology, the gloves guarantee exceptional shock absorption and cushioning, whereas C3 foam™ technology and Protex2 dual collar support panel provide added comfort and support. Plus, for temperature control, there is EVERCOOL™ performance technology and EVERDRI™ wicking technology delivers increased moisture absorption. The gloves are designed for mitt work, sparring sessions and heavy bag workouts. for submitting product information about Everlast Protex 2 Evergel Training Gloves We aim to answer all questions within 2-3 days. for submitting product information about Everlast Protex 2 Evergel Training Gloves. We aim to answer all questions within 2-3 days. If you provided your name and email address, we will email you as soon as the answer is published. This product is synthetic, non-leather and the velcro strap is inexplicably short. for submitting product review about Everlast Protex 2 Evergel Training Gloves.